Yes. You know the feeling. Your cheeks get warm. Your breath gets shallow. Your heart dances a flamenco in your chest. He's in the room with you, so close that you can smell the pheromones rising off his skin. He looks right into your soul and says the perfect thing. And just like that, you've got a new book boyfriend. As first in a series, I'd like to introduce you to my new book boyfriend. His name is Walker Pearce, and he's the strapping cowboy hero of Victoria Dahl's So Tough to Tame. Here's how the heroine Charlie sees him again after they're reunited. "Sweet mother of everything hot," Charlie muttered under her breath as she watched Walker Pearce's biceps flex and bunch as he maneuvered her pine table through the doorway of her apartment. He wore a beat-up gray T-shirt with a Stetson logo on it, tight jeans, ancient boots, and a black cowboy hat that threw a shadow over his blue eyes....His shoulders hadn't been that wide in high school. His arms hadn't been so thick. And he hadn't been quite that tall. Jesus, he must be six-four now. All in all, he looked like a dangerous, forbidden, older-brother version of the Walker she'd once had a crush on. Walker is a working cowboy in Jackson Hole, Wyoming, who spends long days in the mud and muck. He's also got a beard. A beard, people. So manly. 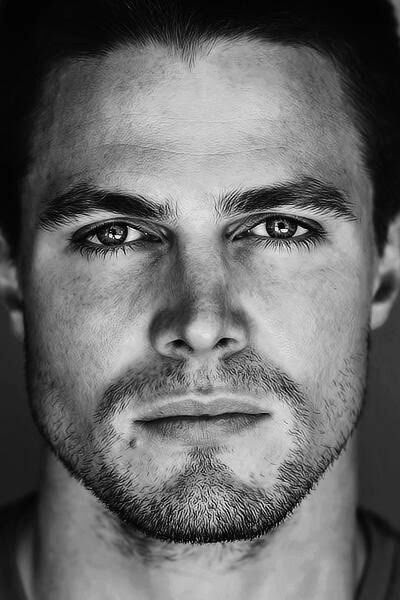 I'm imagining Stephen Amell from Arrow, but beardier and cowboy-ier. Walker is a flirtatious, fun-loving sort of fellow on the outside, but on the inside, he's carrying a lot of ancient baggage and heartbreak. He's wildly protective of his younger brother, and years of struggling with a learning disability have made him believe he's stupid. When he's not. Completely not. And of course, sexytime with Walker is pretty damn hot. "I'm sorry," he murmured against her skin. Then he drew her in again. The contrast between nice Walker and sexual Walker made everything inside her tighten. They'd been friends so long, and she'd wanted him so long, and how many times had she fantasized that he'd say I'm sorry as he took advantage of her? God, yes. He was sorry but he couldn't stop himself from touching her. He was so sorry, but he had to. 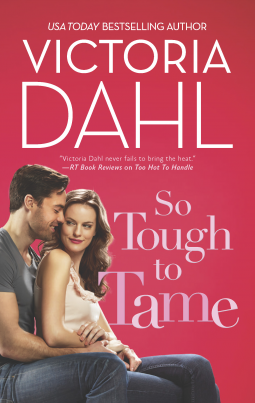 So Tough to Tame is the first book I've read by Victoria Dahl. I found it to be sweet, heartbreaking, and funny all at the same time. And of course, Walker Pearce and I are going steady now, so I have the author to thank for...you know, making him up.